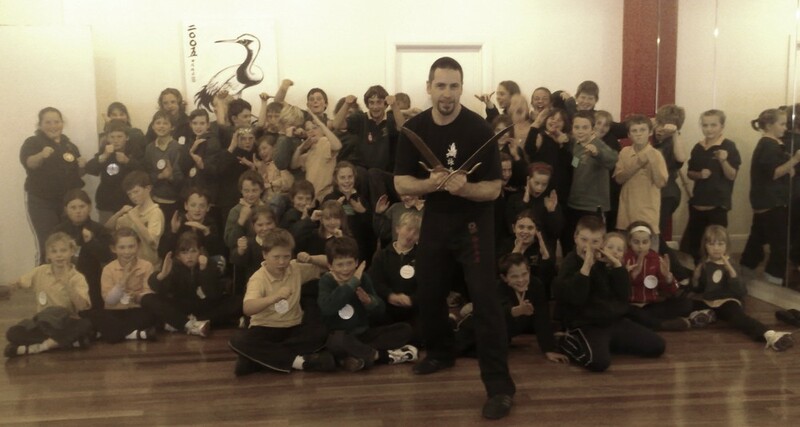 Wing Chun programs in Melbourne for Primary Schools, Wing Chun Kung Fu for Primary Schools in Melbourne, Wing Chun classes for Primary Schools in Melbourne, Wing Chun Classes for Primary Schools, Wing Chun Kung Fu Training in Melbourne for Primary Schools , Self Defence classes for Primary Schools , chinese martial arts programs for Primary Schools. Wing Chun is an ancient method of training your mind, body and spirit to act as one. Wing Chun practitioners strive for harmony, but also learn effective and often devastating self-defense techniques. Children who get involved in Wing Chun reap many benefits in several areas of life. Most Wing Chun originated in China about 350 years ago. Fitness is a crucial element of Wing Chun classes, especially where children are involved. Warm ups with star jumps, push ups and stretches are common, and the movements of the Wing Chun itself often challenge your muscles and cardiovascular system. Wing Chun students are known for being toned, flexible and physically fit and your child will be no different. The ability to defend yourself against an assailant is an empowering feeling. In Wing Chun the use of self defense Techniques are the cornerstone of the entire program. You can be certain that with regular practice, your child will learn to defend himself or herself in a variety of different ways. At the Wing Chun Bing Fa Academy also teach street-smart techniques to kids to help avoid problems altogether. Wing Chun helps to instil mental focus in your child, giving them the ability to concentrate on a task and see it through to its conclusion. The discipline that is taught at the academy in regard to uniforms, customs and techniques often translates into other areas of life, including school and household chores. Wing Chun is all about respect. Punching, kicking, and locking are all secondary to the respect that is shown from the moment you walk into the academy. Children learn to bow to the masters who came before them, and to their current instructors. They also learn to treat other students as they wish to be treated. Wing Chun instructors press upon the respect issue regularly and instruct students to practice respect for self, parents, teachers and peers at every opportunity. A child who is involved in Wing Chun is generally a child who is confident in him or herself. Working through a ranking system gives a child measurable goals to follow that are realistic to attain. The sense of accomplishment a child feels by mastering a new technique or graduating to a new level follows them everywhere they go.